All Sons and Daughters is a Nashville based duo that writes worship songs with an acoustic/folk feel. 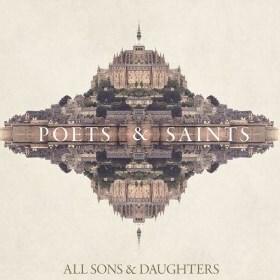 For their most recent record and this tour, Poets and Saints, they went to Europe to research the notable "poets" and "saints" of the Christian faith - C.S. Lewis, John Newton, Saint Therese, Saint Francis, William Cowper, Saint Augustine and George MacDonald - mining for undiscovered gems, something God could use to connect these individuals to modern believers. The result was far more than the group could ever have imagined.